Microdermabrasion is a procedure that uses tiny exfoliating crystals on the skin to help improve dull skin, brown spots and age spots. I do exfoliate regularly (read my exfoliation guide for tips) but microdermabrasion takes exfoliation it to a whole new level! Certainly if you can afford to get your microdermabrasion treatments done by a dermatologist, that is the way to go. But you can also benefit from doing microdermabrasion and dermaplaning-inspired treatments at home, saving time and money. 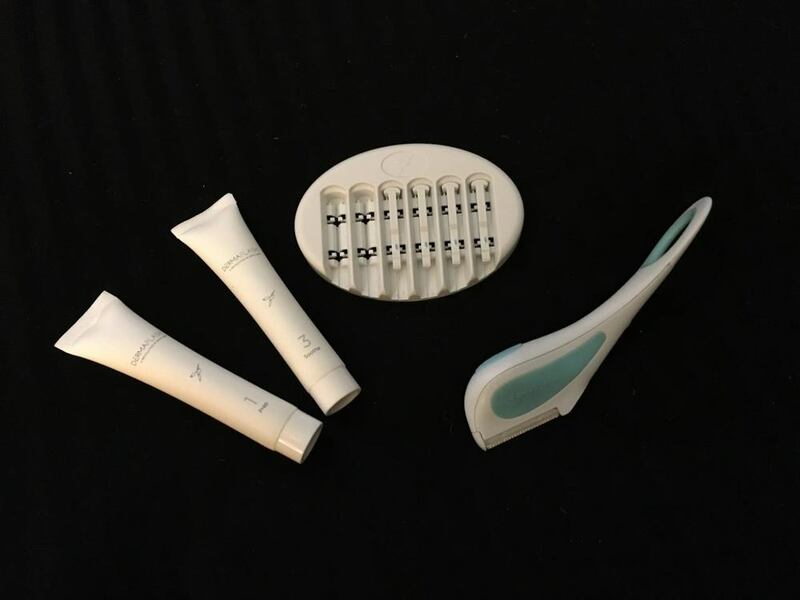 To help you with at-home microdermabrasion treatment safety, Posh Beauty Blog has enlisted the help of Victoria Collotta, Vice President of Professional Services at Silk Therapeutics. 1. DO apply patch peels before treatment to test sensitivity. As all products are not the same (and some may be harsh for certain skin types), be sure to read the labels for recommended application time. Apply a small amount of the peel on your jawline, near the ear to test whether any sensitivity (beyond the normal tingling) occurs so you can determine the correct amount of product and duration of application that works best with your skin. Tip: Victoria's favorite is Silk Therapeutics Silk Renewing Peel. It's a Glycolic and Lactic Acid controlled peel that remarkably does not leave redness or irritation on the skin. Instead, it exfoliates for a softer, smoother and brighter complexion. It’s gentle enough to use on a constant basis once or twice a week. 2. DO fortify your skin with a treatment or mask after exfoliating. Once dull, dry dead skin cells are removed, it’s time to treat and improve your skin concerns by applying specific treatments or masks. TIP: Try mixing 1/4 tsp of your favorite serum and 1tsp of moisturizer to create a nourishing and hydrating mask. Warm treatment by creating a mini double boiler by placing a bowl of hot water underneath the bowl used for mixing the mask. 3. DO apply sunscreen – a generous amount! SPF30 is best for during the day to protect your skin from harmful UV rays which can burn and damage the skin, causing accelerated aging. If skin is over-exposed to the sun, collagen is depleted and becomes raw and vulnerable, so peels/microdermabrasion ends up being painful – the opposite of what we want! 4. DON’T use products containing Alpha/Beta Hydroxy acids or Retin A for at least 72 hours prior to preforming at-home peels/microdermabrasion, as well as 1-7 days post-treatment to avoid any irritation. 5. DON’T exercise directly before or after performing a peel or microdermabrasion. After exercise, pores are open and saturated with sweat – skin should be clean, dry and makeup/oil-free prior to any treatment. Using the following products, I have seen improvement in the texture of my skin. They help remove dead skin gently and the skincare products that I've invested seem to be better absorbed (another way I'm saving money). 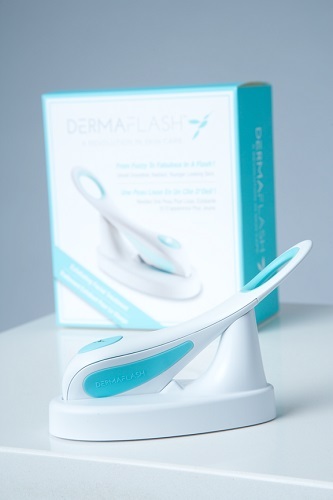 DERMAFLASH was founded by spa veteran, Dara Levy and is an ideal way to get a great exfoliation and, bonus, if you have fine hair on your face, Dermaflash will help eliminate it. DERMAFLASH is an exfoliating device which refinishes skin by removing dead skin cells and built up debris, while also gently removing facial hair. Skin is immediately smooth, luminous, and youthful-looking. It’s inspired by dermaplaning, a procedure available only in medical spas or doctors offices. Check out the video below to learn more. This is my all-time favorite Rodan + Fields product! 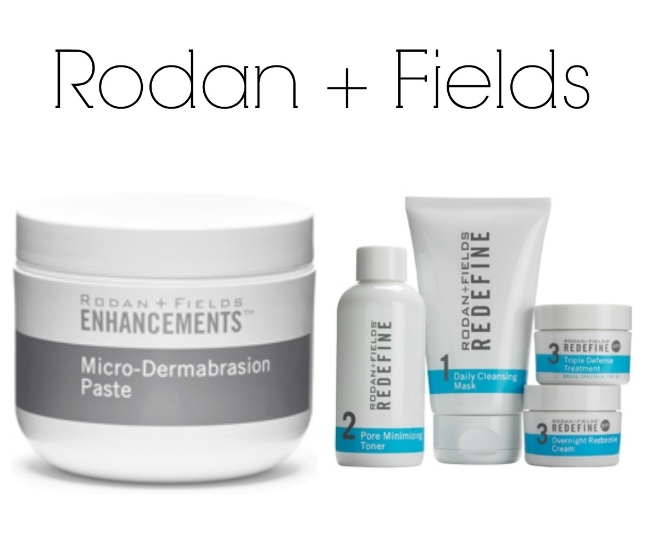 Micro-Dermabrasion Paste is a high-glide, oil-free formula designed to promote maximum gentle exfoliation. Use intermittently to enhance cell turnover and improve skin tone and texture. Lucky Magazine reports that it smoothes away rough spots. This is the stuff dreams are made of! I love this micro-dermabrastion paste and use it 1-2 twice per week. You can use it on dry skin for a deeper exfoliaton or on damp skin for a more gentle application. I also like to use it on my hands now and then when they need a little love. It makes my hands look like they've had a manicure. This Micro-dermabrasion paste is great on it's own and it's also great as an enhancement to the Redefine Regimen. Redefine includes Daily Cleansing Mask, Pore Minimizing Toner, Triple Defense Treatment SPF 30 and Overnight Restorative Cream 30 mL/1.0 Fl.Oz. Have you ever tried at-home microdermabrasion? Leave your comments below!